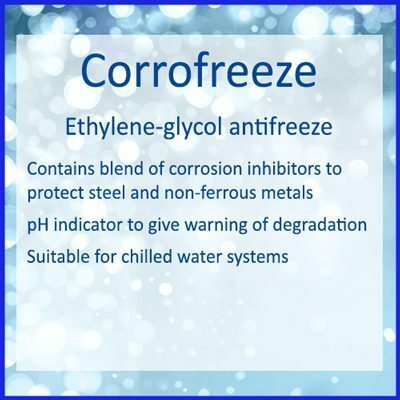 CORROFREEZE is an ethylene-glycol based antifreeze specially formulated for use in chilled water systems. 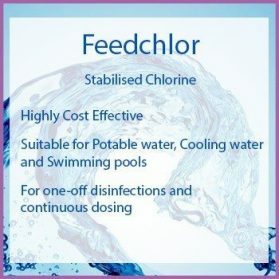 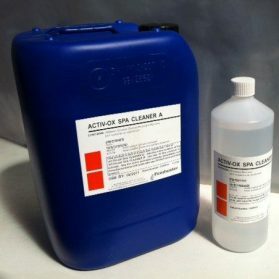 It contains a blend of corrosion inhibitors to protect steel and non-ferrous metals and a pH indicator to give warning of degradation (the normal colour of CORROFREEZE is pink but this colouration will be lost if the glycol degrades). 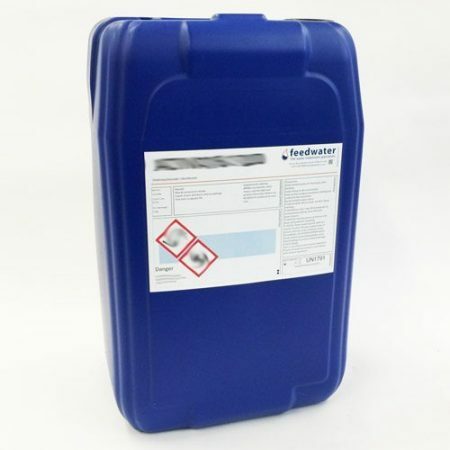 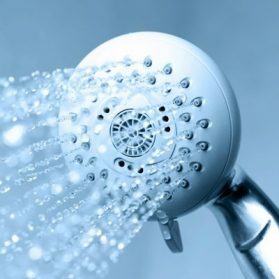 CORROFREEZE can be shot dosed to a system by means of a dosing pot or alternatively can be dosed automatically by means of a water meter controlled dosing system (price on application). 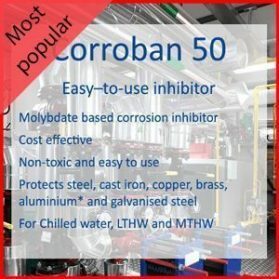 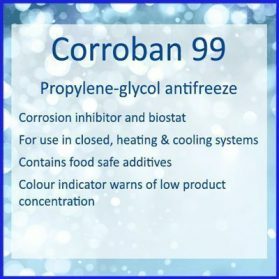 CORROBAN 99 – A propylene-glycol based antifreeze suitable for closed, cooling and heating systems with food safe additives.